The Powder Room, a new cocktail bar opening at the end of November in Los Angeles, is taking extravagance to new heights with a $500 boozy milkshake on the menu. Why? Well, as Jezebel explains, "because people are assholes." This milkshake-to-top-all-milkshakes is supposed to include Belgian chocolates, edible gold leaf, and a Swarovski ring, because if you're buying a $500 milkshake, you'd better have a keepsake other than buyer's remorse. Powder Room managing partner John Arakaki wants to give patrons something to remember when they leave (as if we'd ever forget any part of a night out at the bar...). 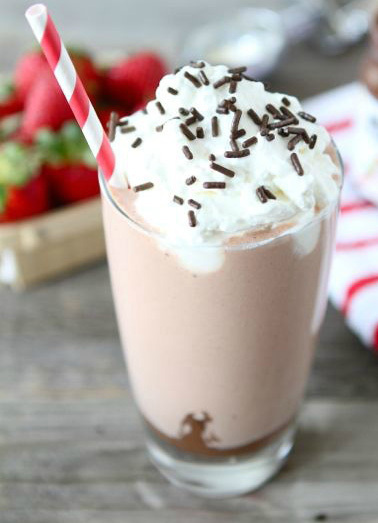 He sees the milkshake, and the ring that goes with it, as a special, memorable experience, geared toward groups like bachelorette or birthday parties, he told The Huffington Post. "I remember loving Cracker Jack boxes as a kid and getting the prize at the end of it. It's taking that philosophy to another level of execution," he told Eater. Likening a Cracker Jack prize to a Swarovski ring may be a little bit of a stretch, but it may also strike just the right chord for Hollywood's A-listers -- the only people who could possibly be buying this shake. Too bad none of them drink milkshakes.